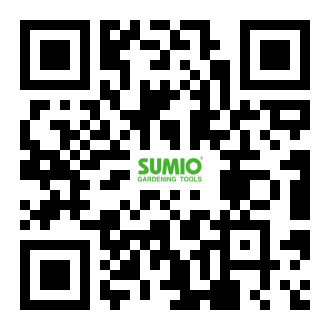 Build in 1976, SUMIO manufactures useful products of high quality, not only for professional gardeners but for all those who desire to live on green earth. With own design, SUMIO produces A large varietyof gardening tools, such as pruning shears, grass shears, ladies' shears, digging &cultivating tools and specially designed gardening tool kits. Our strong design capability makes us highly competitive in this field, whether for our own new products or OEM orders. In past decade, SUMIO present Piranha Pruner Series, Garden-Collecting Cart and garden tools with ergonomicdesigned grip (KC-105 series). The Piranha pruner series and KC-105 series gardening tools are certified by Taiwan's " Good-Designed Product " and " It's very well made in Taiwan ".The highest. our Green Pro Pruning Shears series is prized by “Taiwan Outstanding Design Products”. Geon Hung’s quality management system is approved by ISO-9001, since 1999.Followed the rulesofISO-9001, we ensure our quality control department eliminates defects so as to offer the very best products to customers, no matter from the initial Inspection of materials and components through to the final inspection of finished products.